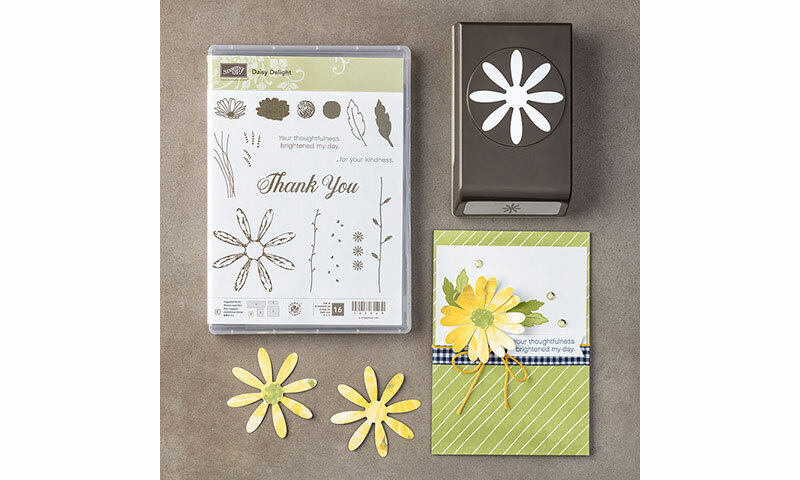 One of my absolutely favourite products in the new Annual Catalogue is the new Daisy Delight stamp set and matching punch. Although I've made lots of cards with this bundle (watch this space!) 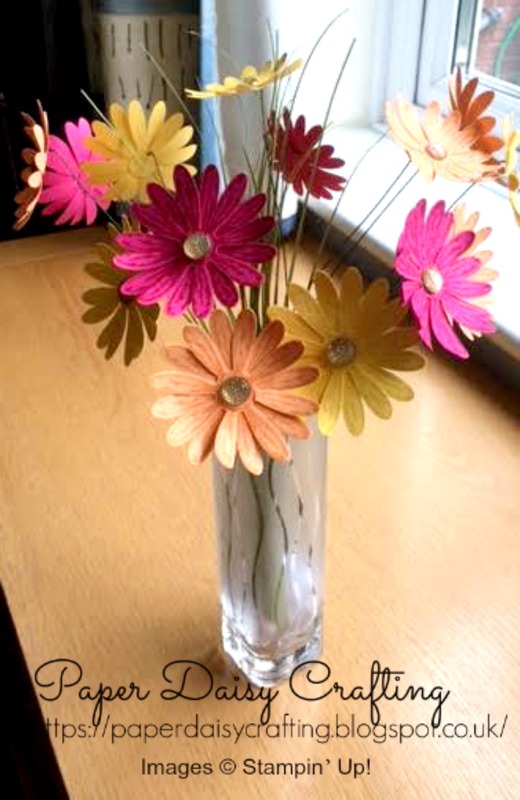 today I'm stepping out of my comfort zone and featuring a 3D project - this lovely gerbera bouquet. I've used melon mambo, peekaboo peach and daffodil delight cardstock and ink. Looking forward to experimenting with other colours soon. Learn how I made my bouquet by watching my little video tutorial on YouTube. What do you think of my bouquet? Please leave a comment below to let me know! If you would prefer a more personal service, have any questions or need help with your order, please either send me an email or give me a ring. I'll be more than happy to help. I pride myself on giving excellent one to one customer service. 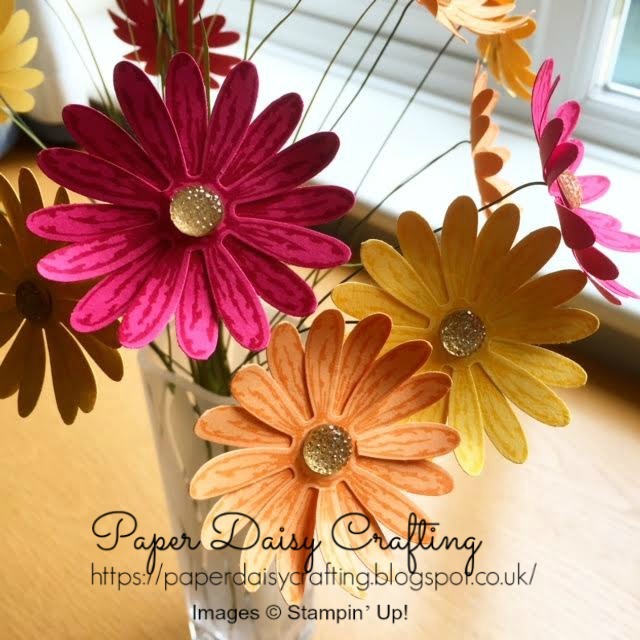 Classes and events As a Stampin Up demonstrator, I run paper crafting classes, workshops and parties in my local area (Chertsey, Surrey, UK). Please feel free to request my current class schedule. Join My Team Stampin Up also offers fabulous opportunities to run a home-based business or just to get discount (at least 20%) on your craft products. I would be more than happy to chat to you about joining my team and becoming a demonstrator, including details of the wealth of offers and information that becomes available to you by joining the fabulous Stampin Up family. If you have any questions, please don't hesitate to contact me.